A revelatory look at how Roger Williams shaped the nature of religion, political power, and individual rights in America. For four hundred years, Americans have wrestled with and fought over two concepts that define the nature of the nation: the proper relation between church and state and between a free individual and the state. These debates began with the extraordinary thought and struggles of Roger Williams, who had an unparalleled understanding of the conflict between a government that justified itself by "reason of state"-i.e. national security-and its perceived "will of God" and the "ancient rights and liberties" of individuals. This is a story of power, set against Puritan America and the English Civil War. Williams's interactions with King James, Francis Bacon, Oliver Cromwell, and his mentor Edward Coke set his course, but his fundamental ideas came to fruition in America, as Williams, though a Puritan, collided with John Winthrop's vision of his "City upon a Hill." 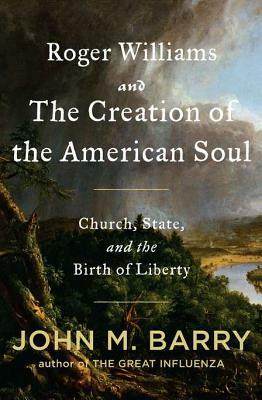 Acclaimed historian John M. Barry explores the development of these fundamental ideas through the story of the man who was the first to link religious freedom to individual liberty, and who created in America the first government and society on earth informed by those beliefs. The story is essential to the continuing debate over how we define the role of religion and political power in modern American life. "John Barry's Roger Williams and the Creation of the American Soul establishes Williams as a brave thinker and also a deft political actor … Mr. Barry puts Williams squarely among our great political thinkers, crediting him with bringing liberal democracy to the American colonies."